Discussion in 'Prius c Accessories and Modifications' started by ROLOPR, Aug 21, 2012. I just bought a used 06 that is missing its rear seat headrests. The dealer has signed an "I owe" contract document . I realize that it will probably be a fight to get them to honor it. Ha! Meanwhile, I am using the third row headrests from our 06 Sienna for the left and right seats in my Prius. The rails are really long so I can accommodate a tall passenger, and they slam down for a nice view. Even in the up position, I can see under the pad and through the rails. The borrowed set does not include a narrow one for the middle, as the Sienna's third row headrests are all three the same. If someone wants, I will try to post a pic. Yes please! Post a pic! And to answer previous questions about other years of Yaris back headrests fitting the c, I know that the '08 Yaris ones do NOT fit. They are the right spacing but the posts are skinnier and wobble in the c. Hubby has an '08 Yaris and I tried them. 90% of the time it is just me in the car, I just keep the seats folded down. YIKES!! I think I'll stick with a naked back seat. My headrests are resting on the seat until needed. Thanks for checking on that! I purchased 2 headrest for $20 at the local junkyard. I used some fabric cleaner and hosed them down yesterday. What a great improvement in visibility. I'm keeping one full size headrest in the hatch storage. The tC mesh material is a good match with the OEM seat fabric in the 2018 model. The dog cover I use has to hook over the headrests so this is a great. Augie Doggie and skayaks like this. What TC model did you find matched? It was a 2005 tC. Unless it's a special edition or has leather 2005 - 2010 should work just like pictured. I have the leather, so I'll have to look into this further, but thank you for the place to start. Sounds good, might be able to cross search with some older Lexus rear or center headrests as well. I remember the Consumers Report Magazine slamming cars that did not have a middle head rest in the back seat years ago. I very seldom have a rear passenger. I have only had one person in my backseat once since I owned my new car a year in November. <<<<=== He's the only passenger in my back seat so I might have to check into this mod. I also need the headrests for his seat protector, but I don't need them for human nuggets. Thanks for the thread revival CP! TRD Rear Sway Bar from dealer for $78 (CAD). What!?? 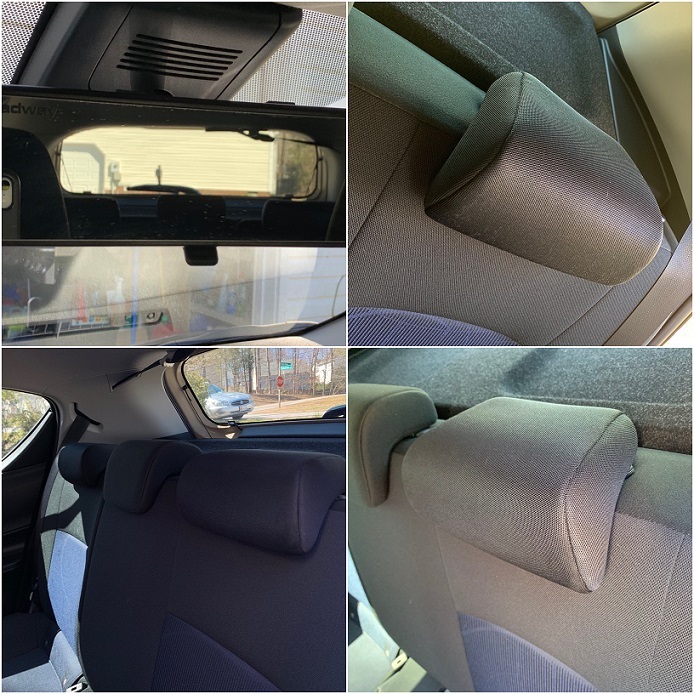 Swap 60/40 Rear Seats into Prius C One?